Fernando LaFuente explained how he learned about the death of Ballybrack FC. 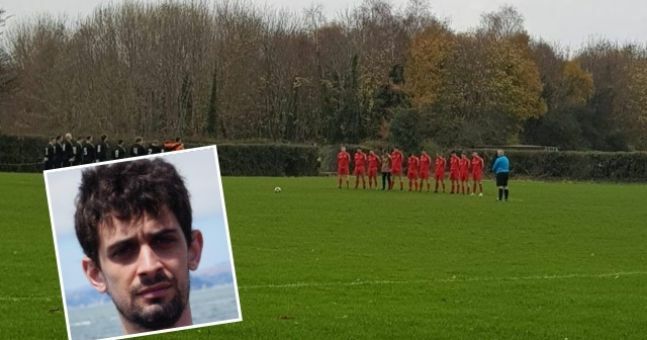 The club, which plays in the Leinster Senior League, announced that LaFuente – who played with them in the past but has since moved to Galway – was killed in a car accident. This had been done to try to cancel a match against Arklow Town. "I knew there was going to be a story about me," said LaFuente, a Spanish, of Today's show with Sean O'Rourke of RTÉ Radio One. "I thought it would be me who broke a leg. "I was yesterday at home, after the end of my work, playing video games." I received a call from work and I thought to myself, "Oh, what is it? what happened? " "They said," You're a celebrity, "and I thought," Why? "They started sending me all these items. LaFuente confirmed that he had been removed from the WhatsApp group in the past few days. I knew something was happening. They said, "Oh, Fernando, in case you might see that the league is posting something on Twitter that says you had an accident." I thought it would be a "break a leg" type accident. I had a good relationship with them. They took care of me very well when I was there. "As soon as I heard the news, I wrote to them," continued LaFuente. "They immediately understood what was happening and they apologized for everything. "It's serious about them but I find it a little funny because basically I'm not dead and no one has been hurt." See also: The story of Ballybrack began to "undo" on Monday, when "the alarm bells went off"